Renato Cipriano Partner, General Manager WSDG Brazil, graduated as a Civil Engineer from the University of FUMEC in Belo Horizonte, Brazil in 1994. He is also a graduate from The Recording Workshop, Ohio (1992) and Full Sail Center for the Recording Arts, Orlando, USA (1999). He worked with construction design and project planning for many years at Andrade Gutierrez. 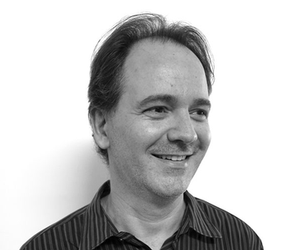 In early 2000, Renato opened the WSDG office in Brazil where he is responsible for the acoustical and architectural supervision for all the firm’s projects in that country. An accomplished audio engineer he has worked on various projects including the last album of Brazil’s most popular rock band – Skank, who’s new world class recording facility was designed by WSDG. Recently, Cipriano has been teaching Acoustics at IAV in São Paulo, Brazil’s leading audio school. In 2004 Renato received two Grammy nominations and won the Latin Grammy for “Best Brazilian Rock Album”.